Sonlight is a gospel group based in the Annapolis Valley, who have been sharing their gift of music to spread the Good News of Jesus Christ for nearly 20 years. 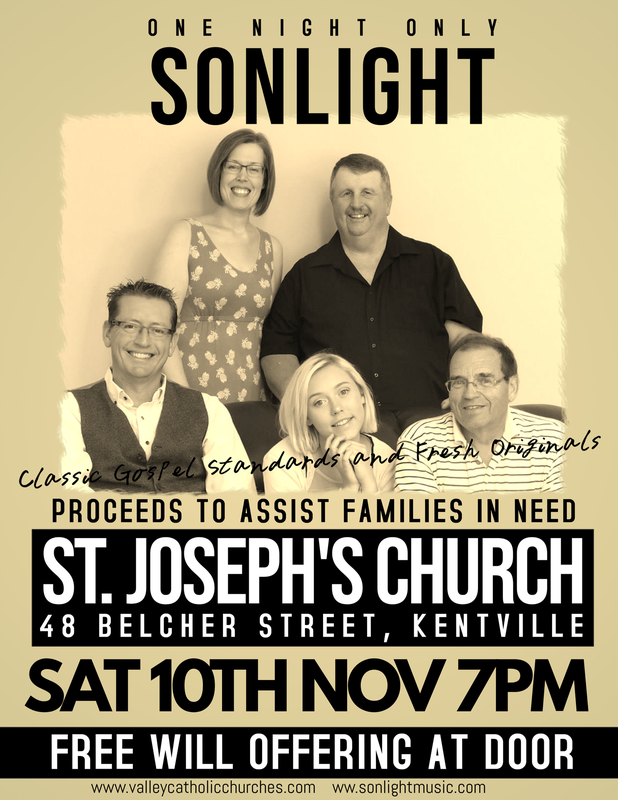 Sonlight performs classic Gospel standards and fresh original music. Free will offering collected at the door to support local families in need.